May 21, 2018 at 9:46p.m. The shooting of a man on Riverview Street Northwest took a surprising twist Sunday night when investigators concluded that the “assailant” was his Maytag oven. 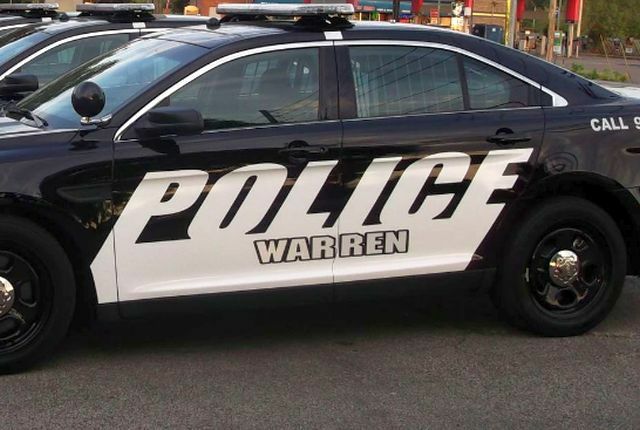 Robin L. Garlock, 44, put his revolver in the broiler of the oven for safe-keeping because children were coming to the house, Warren Police Detective Wayne Mackey said Monday. But his girlfriend decided to do some baking Sunday night, apparently unaware of the firepower below the oven. While she was cooking, she heard a “bang” and yelled for Garlock, thinking the sound was a gunshot coming from outside. “He yelled for her to get down,” Mackey said. Garlock then went to the oven, opened the broiler and tried to secure his revolver. He suffered a minor burn. “It’s too hot. The gun literally spun around because it’s going off,” Mackey said. The heat of the oven eventaully caused bullets in the gun to explode, Mackey said. Either two bullets or bullet fragments struck Garlock in the front of each of his shoulders, Mackey said. The story makes sense because if you put ammunition in a fire, it will explode, Mackey said. Garlock was taken for treatment at St. Joseph Warren Hospital, where Mackey interviewed him. Garlock’s girlfriend was questioned separately. She said she didn’t know what happened, Mackey said. Garlock suffered serious injuries, but he was stable, Mackey said. The story sounded hard to believe when Garlock first told Mackey, but the evidence confirmed Garlock’s story, Mackey said: There were bullet holes in the stove and the gun “obviously had been in a fire,” Mackey said of his and another detective’s conclusions. There were empty shell casings in two of the six chambers in the gun’s cylinder, but the cylinder was seized because of the heat, Mackey said. Though Mackey says he’s confident he knows how this incident happened and no crime was committed, police will analyze the gun further, he added. Mackey said this was “the first time for me in 30 years of police work — shot by an appliance,” Mackey said with a laugh. “The oven initially tried to blame the refrigerator,” Mackey joked. Mackey said the story of this strange shooting should be told so the neighbors who observed the gunfire and aftermath don’t think someone was randomly firing a handgun in their neighborhood. Neighbor Jennifer Harris, who called 911 upon hearing the gunshots, said she was relieved to know what happened. The neighborhood doesn’t have a problem with guns or violence. October 1, 2014 9:54 a.m.
May 5, 2009 12:06 a.m.
November 7, 2017 10:40 a.m.
January 29, 2009 12:04 a.m.